1. 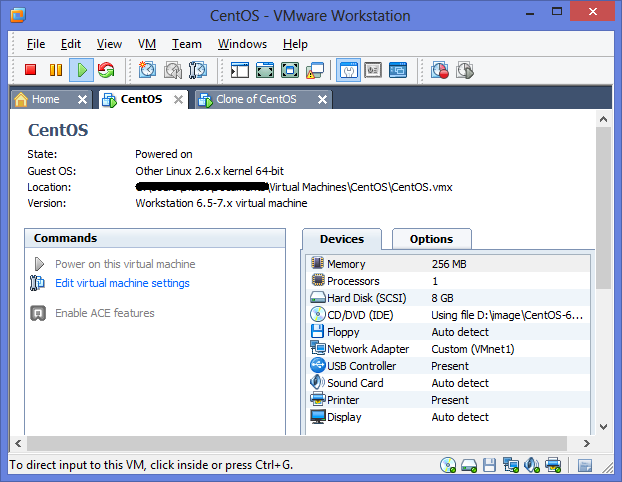 You have Windows 8 and installed with VMware workstation. 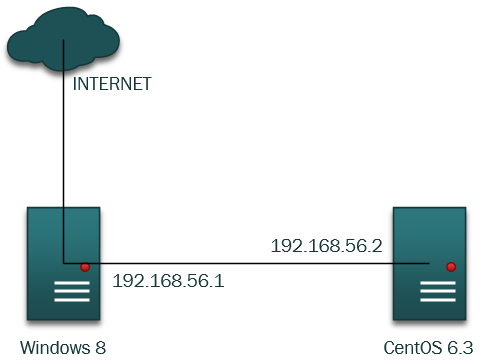 Now we want to set up an internet connection sharing on Windows 8 so virtual server could get access to the internet. First check virtual server configuration which network adapter is used. 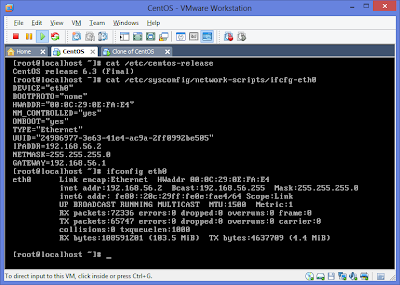 In this picture we can see it is using VMnet1. 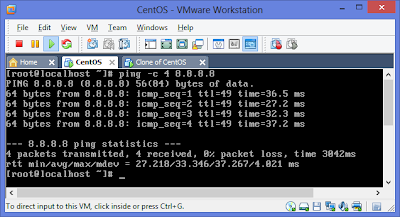 Make sure you already configure the network at CentOS server. Now go to Windows 8, to configure Internet Connection Sharing. 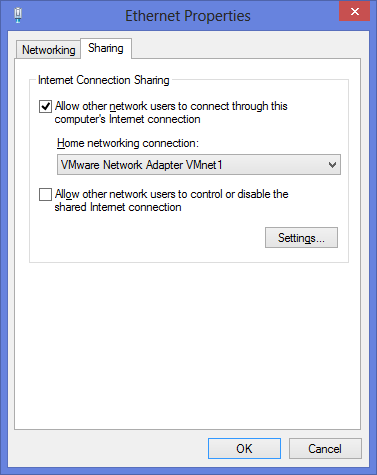 Right click on "Ethernet" > "Properties"
Check "Allow other network users to connect through this computer's Internet connection"
Home networking connection "VMware Network Adapter VMnet1"
After you click "OK", there will be information windows that your IP address will be change to 192.168.137.1. Click "Yes". 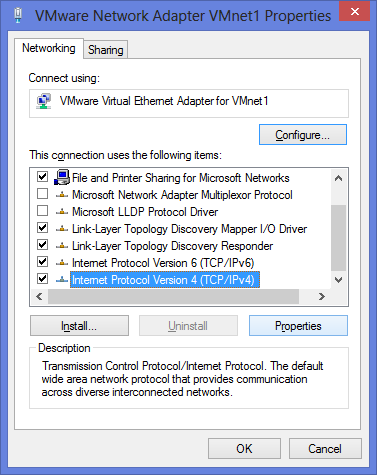 Now back to "Network Connections"
Right click "VMware Network Adapter VMnet1" > Properties. 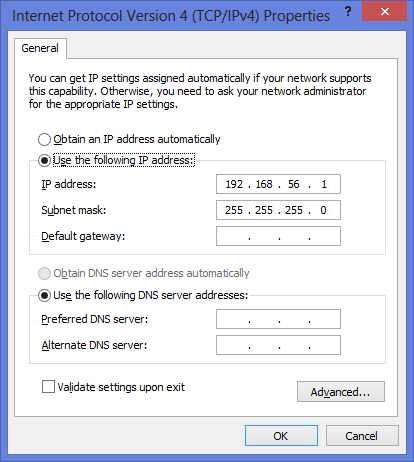 Edit IP address to 192.168.56.1, just like the picture bellow. 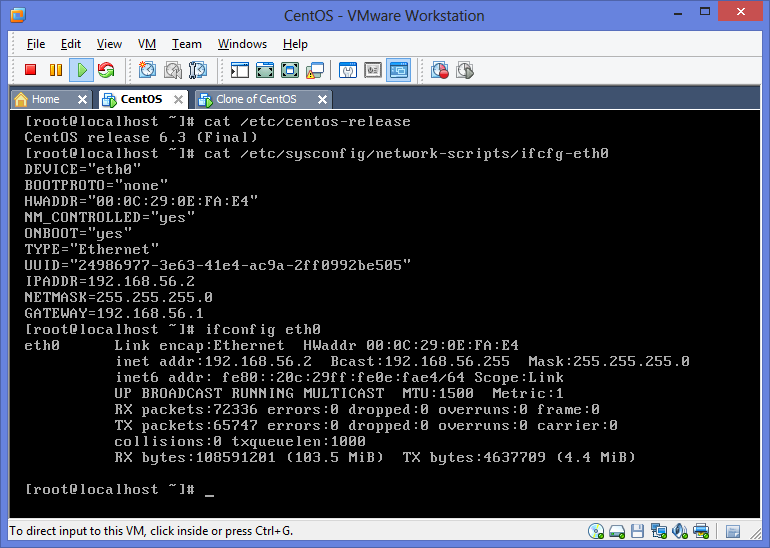 Now your Windows 8 already configure as a Gateway, and server CentOS could get internet access. Check it with ping at server CentOS.